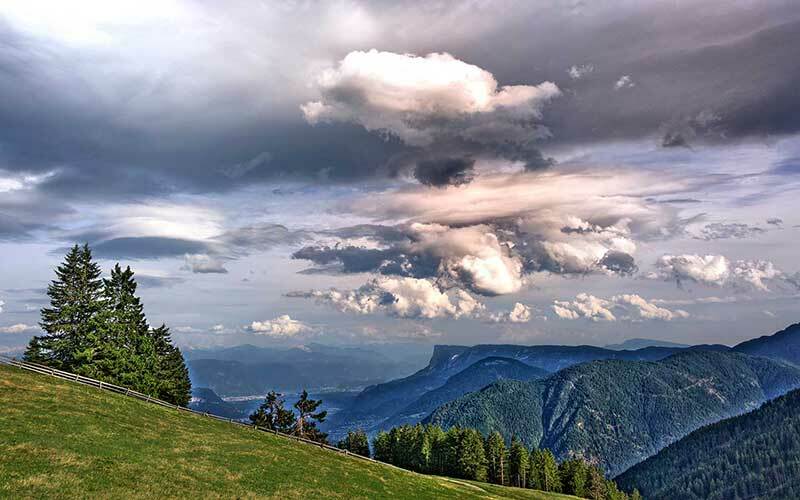 he Via Vigilius is a long distance hiking trail commencing at the mountain station of the tram to the Vigiljoch and concluding in the village of Vela, just outside the town of Trento. The trail can be segmented and experienced in eight separate stages. These single stages of the Via Vigilius can be hiked as day tours. 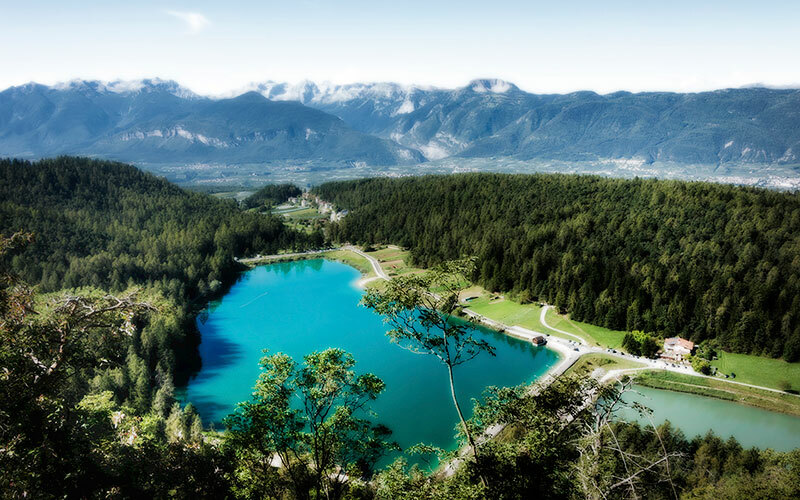 In doing so, on some of the single stretches, one has to master up to 1300 meters of uphill hiking. The longest stretch within a day measures about 20 kilometers. Good public transportation, such as scheduled bus routes and trains, make it easy to reach the starting point of the single stages, and also facilitates re-entry. However, it is a very special and worthy experience to hike the entire trail in seven or eight days. 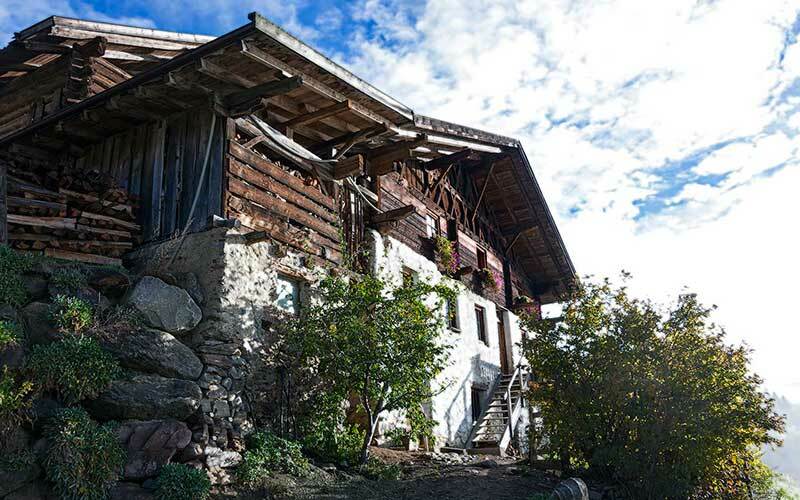 The overall length of the Via Vigilius is 109.2 kilometers, with 6970 meters of uphill and 7090 meters of downhill. 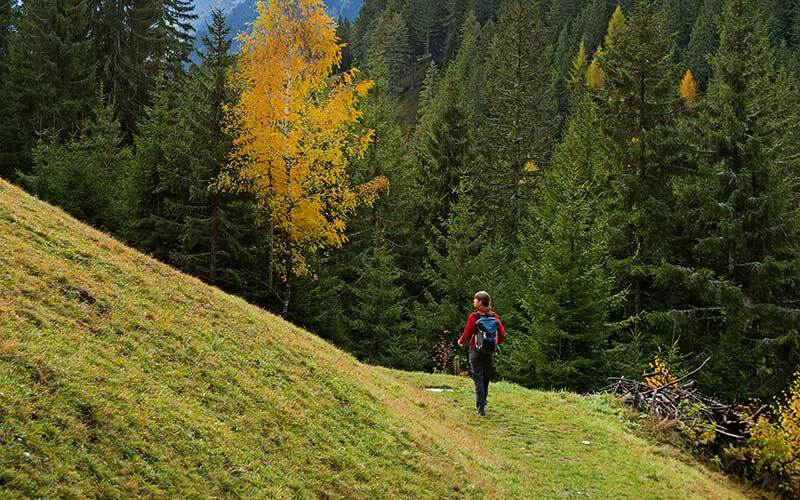 The trail starts in Südtirol and crosses the provincial border to Trentino on the third day. 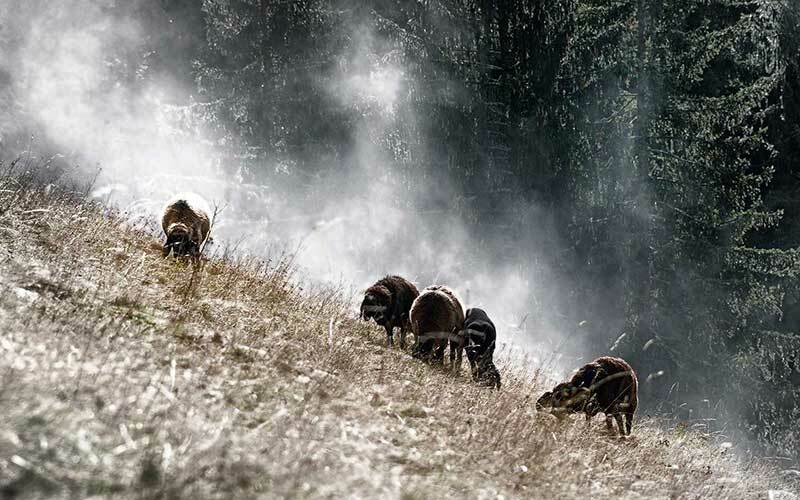 The majority of the Via Vigilius runs through the relatively unknown, very distinct, and especially peaceful low mountain range of the Val di Non. There are multiple opportunities to rest and eat along the daily stages. Overnight stays are available mostly in small hotels or pensions. 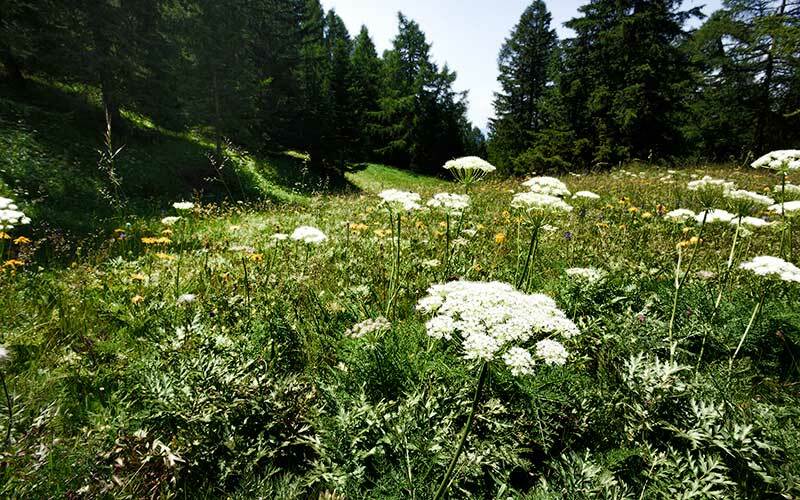 The Via Vigilius is for the most part a technically easy long distance hiking trail, with the exception of a couple of short stretches where sure footing is a requirement. Even so, a steady pace along with good physical fitness and conditioning is necessary. 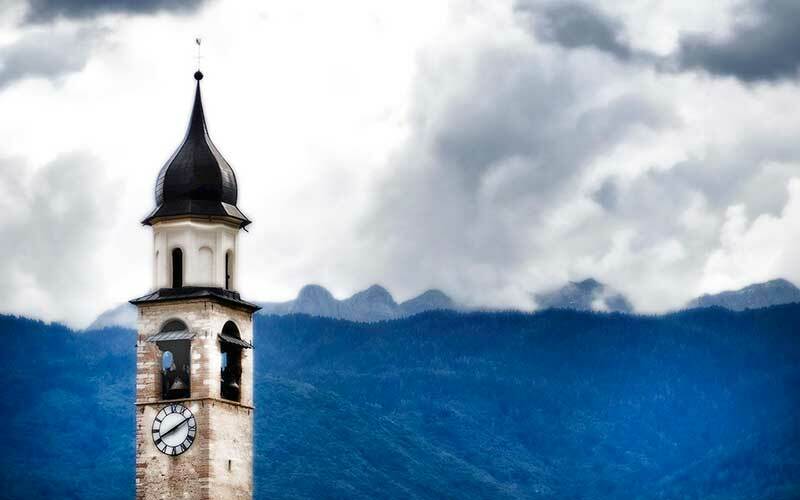 The Via Vigilius follows the historical footsteps of the bishop Vigilius of Trento, who was born around 355 and died in 405 in the Val Rendena nearby Trento. 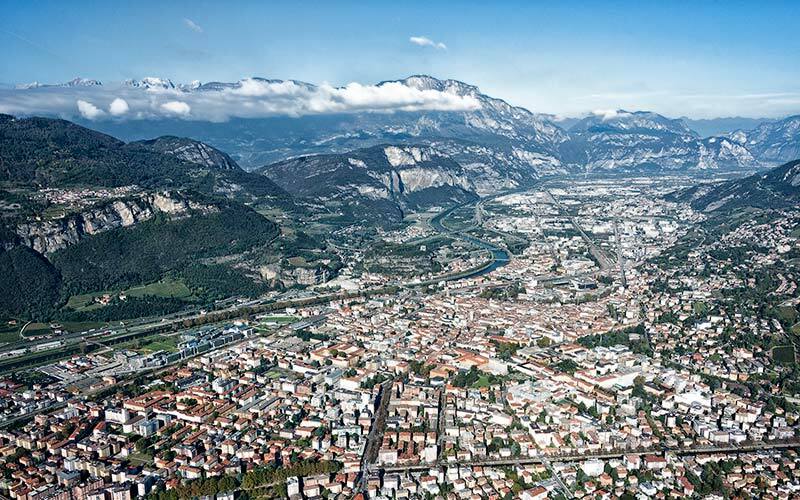 Vigilius acted as a missionary mainly in the upper Val d’Adige, and also traveled the further surroundings of Trento all the way to the south end of Garda Lake. Many new parishes were established because of his efforts; furthermore, he initiated the construction of numerous churches. Even to this day several churches and small mountain chapels bear his name. One of them is the small chapel on the Vigiljoch, which is the starting point of the Via Vigilius. Vigilius was killed in the Val Rendena, while destroying a pagan statue of the god Saturn. In so doing, he angered a group of locals to murderous action with clubs and wooden shoes. Vigilius was entombed in the cathedral of Trento, one of the many churches he had built. There remains even today an elaborate relic honouring Vigilius. 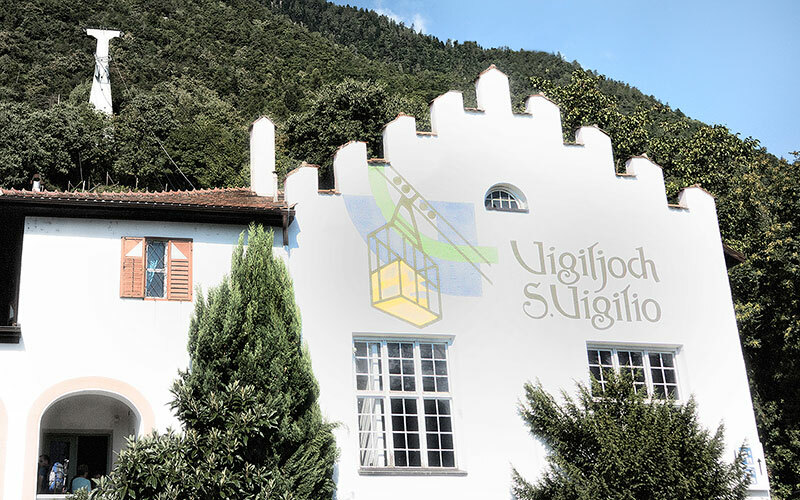 St. Vigilius is one of the patrons of Südtirol as well as Trentino; in addition, he is also the patron of the mines. His name originated from Latin and means “The Alert”. The marks of the bishop can be observed every so often along the Via Vigilus. 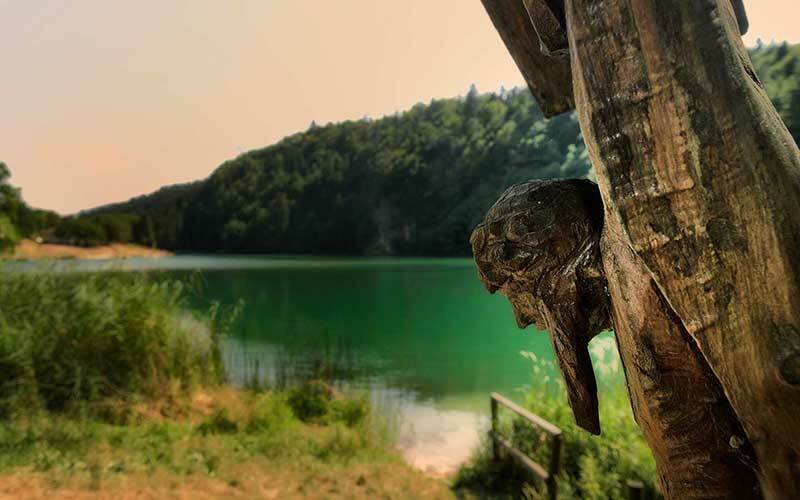 The trail leads hikers past the Vigilius chapel on the Vigiljoch, stops in the place of pilgrimage Unser Liebe Frau im Wald, meanders past the abbey of San Romedio and descends, at the end of the trail, along the Via Vili, the way the bishop took on his last journey to the Val Rendena.